Raw Black African Soap 5oz. Catalog > Raw Black African Soap 5oz. 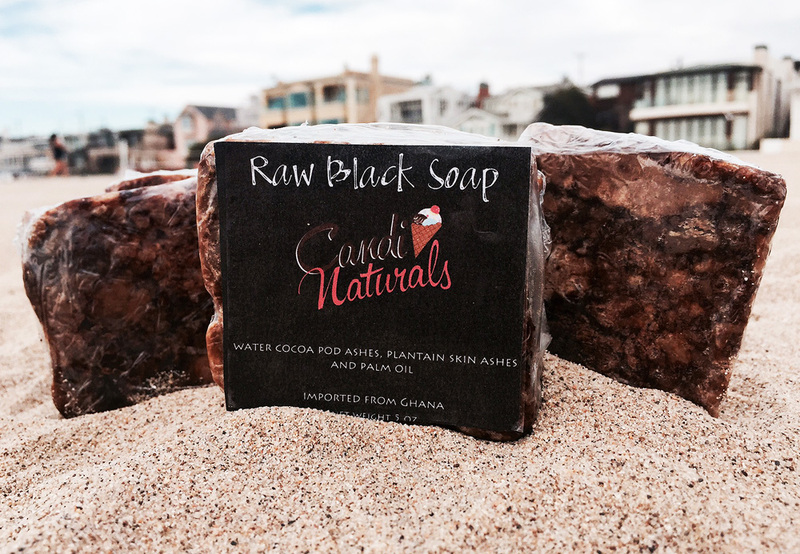 Our African Raw Black Soap is very authentic and shipped from Ghana. It has tons of benefits that includes deep cleaning for all types of skin, rough, oily and dry. Helps to clean up rashes, scars and skin bumps. This soap is known to cure and heal ACNE, helps prevents rashes and helps relieve eczema, fungus, ringworms and varies skin problems. It is great for removing make up and helps works against premature facial lines and wrinkles. Raw Black Soap is great for SHAMPOO, works up great lather with tons of benefits! To preserve this soap, break a peice off and take into the shower rather than taking the entire bar. Ingredients: water, cocoa pod ashes, plantain skin ashes, and palm oil.